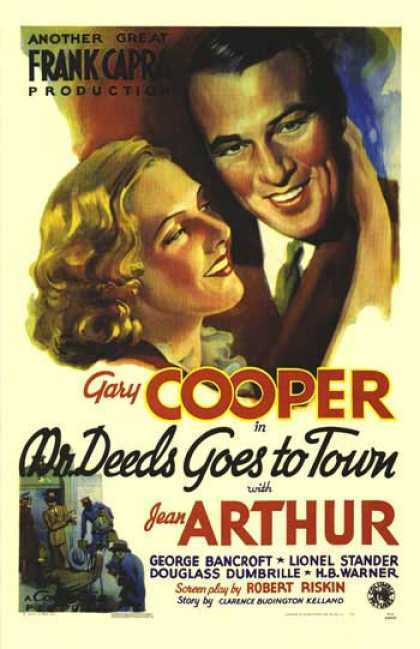 When an eccentric poet (Gary Cooper) inherits a large sum of money from his wealthy uncle, he suddenly finds himself the laughing stock of New York, thanks to a series of articles written by an undercover journalist (Jean Arthur). Peary describes this (relatively) early Frank Capra film as the first in the director’s oeuvre “to really attack the city, to show that it has deprived its people of their basic human values”. 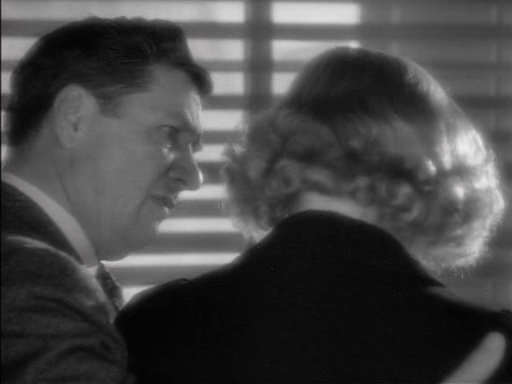 He argues that it “never reflects the cynicism” of Capra’s later, similarly themed films — Mr. Smith Goes to Washington, Meet John Doe, or It’s a Wonderful Life — and contends that “it is the only one of the four films where the happy ending seems completely natural.” Ultimately, though, while he finds Mr. Deeds… “enjoyable”, he argues that “it’s not on the level of the Jimmy Stewart films” — though he clearly finds it preferable to Cooper’s later collaborative effort with Capra, Meet John Doe (1941), which we both agree is a highly over-rated bore. Indeed, having just recently rewatched MJD (also scripted by Capra’s frequent collaborator, Robert Riskin), I was pleasantly surprised to find this earlier comedy so much fresher on every count. 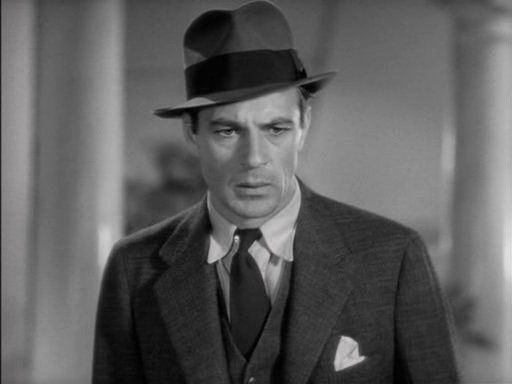 Riskin’s script — while occasionally showing evidence of “Capra-corn”-ish tendencies — never strays too far in this direction, and offers plenty of humorous delights. Unlike in MJD, Cooper’s home-spun title character here possesses a refreshing amount of sass and eccentric gumption; while we may be tempted at first to laugh at him (along with the rest of New York), we very quickly realize he has his finger on the pulse of what’s truly important in life. 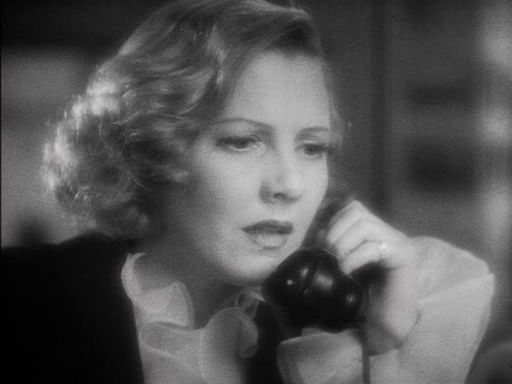 Meanwhile, Jean Arthur’s performance as the opportunistic journalist who jumps at the chance to earn a month’s vacation (with pay) by scooping Longfellow’s story never hits a false note — we can literally see her falling for him moment by moment, and her gradual remorse at the critical role she’s playing in his humiliation is palpable. You’re guaranteed to choke up during their final romantic scene together. Yes; this one represents Capra at his peak. Nominated by Peary (and the actual Academy) as one of the best pictures of the year. Must-see, for its solid place in cinema history. This is a film about the quality of (basic) goodness – those who have it, those who don’t, and those who acquire it. Actually, I wasn’t “tempted at first to laugh at” Cooper’s character – from his first entrance, he doesn’t appear to put forth anything to laugh at. He’s from a small town but he doesn’t seem to be at all eccentric. Even though we later learn that he has some character traits that are perceived as being odd…those are really the perceptions and not the man himself. After all, most people have easily recognizable, garden-variety quirks – but we don’t tend to make much of them unless they stand out as unique. Those of Cooper’s Deeds don’t. I think the film makes its most solid point in detailing those in society who are either out for themselves and/or are quick to size-up others, as a kind of bloodless blood-sport (i.e., humiliation for the fun of it). The film gives the impression that people like Deeds are the minority in society. While that may be an exaggeration (and the film is not above exaggeration for effect), it still drives home real flaws in a large percentage of people. To me, the film’s singular ‘oops’ remains a minor one, since it’s not hard to suspend the disbelief. 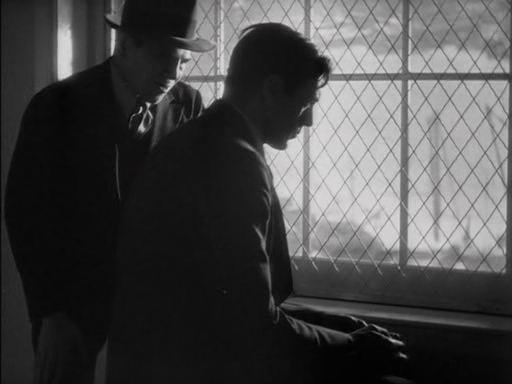 Although Capra does his best to make the mystery believable, Cooper’s character is too smart not to know almost from the beginning that the person writing the newspaper articles is Arthur’s Babe. After all, in her very first report, Babe actually captures things Deeds said – no one else was close enough to quote Deeds verbatim. Cooper and Arthur are particularly well-matched here. It’s quite easy to sympathize with them as individuals and as a couple, since their chemistry is rather strong and compelling. Of the supporting cast, I find Lionel Stander (as Deeds’ handler Corny Cobb) most memorable. I enjoy his wise-cracking sensibility, his world-weary delivery…and I just love listening to the raspy, sandpaper quality of his voice. It tickles me to no end.